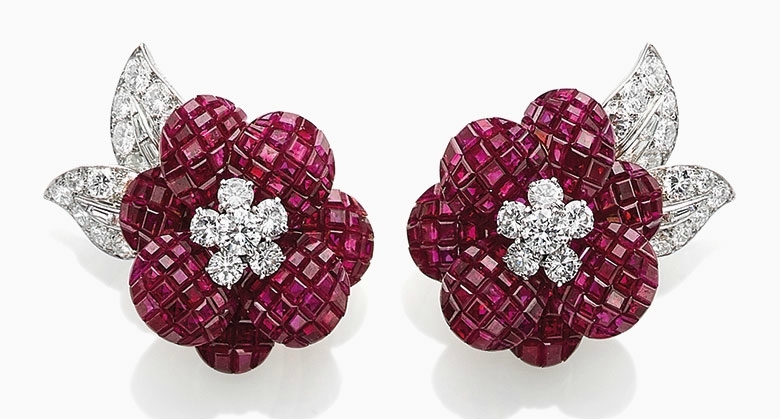 We’re super excited to check out Christie’s next major jewelry auction, ‘Superb Jewels from the Collection of H.S.H. Gabriela Princess zu Leiningen’ for sale in Geneva. Featuring 46 lots, the collection is expected to fetch more than $15 million, and features prestigious signatures such as Cartier, Schlumberger, Boucheron, Tiffany & Co, and Van Cleef & Arpels. Highlights of the collection include the 36 carat D color Pohl diamond. Mined in 1934 as a 287 carat rough stone, it was the first major diamond to be polished in America and was sold in 1943 to Bernice Chrysler Garbisch of the Chrysler Family. In 1998 it was acquired for the Princess at Cartier. 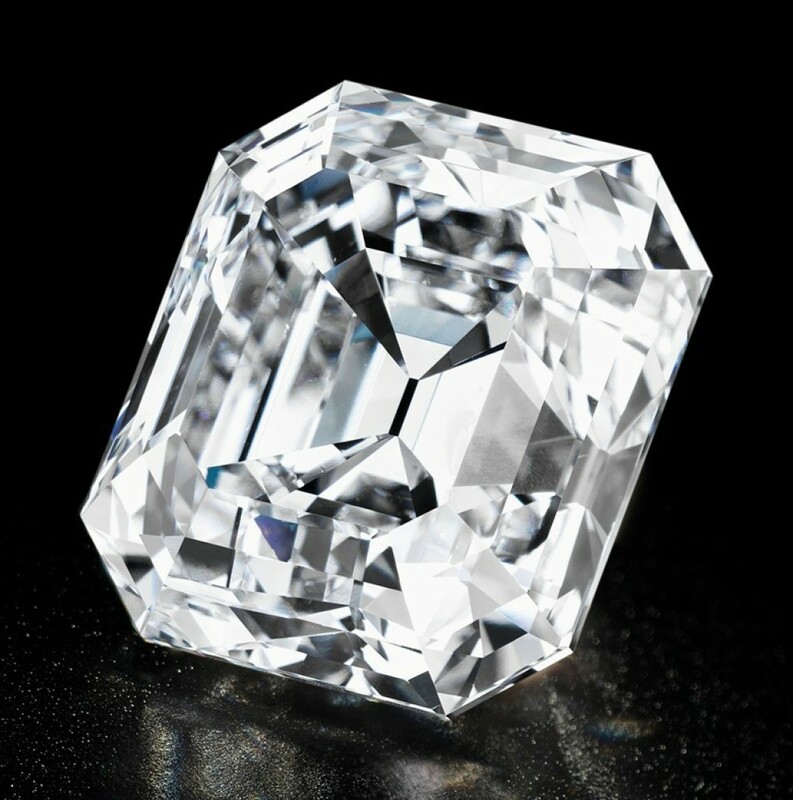 This famous diamond is estimated to fetch $3.8 to $5.5 million, nearly a third of the total collection, by itself. 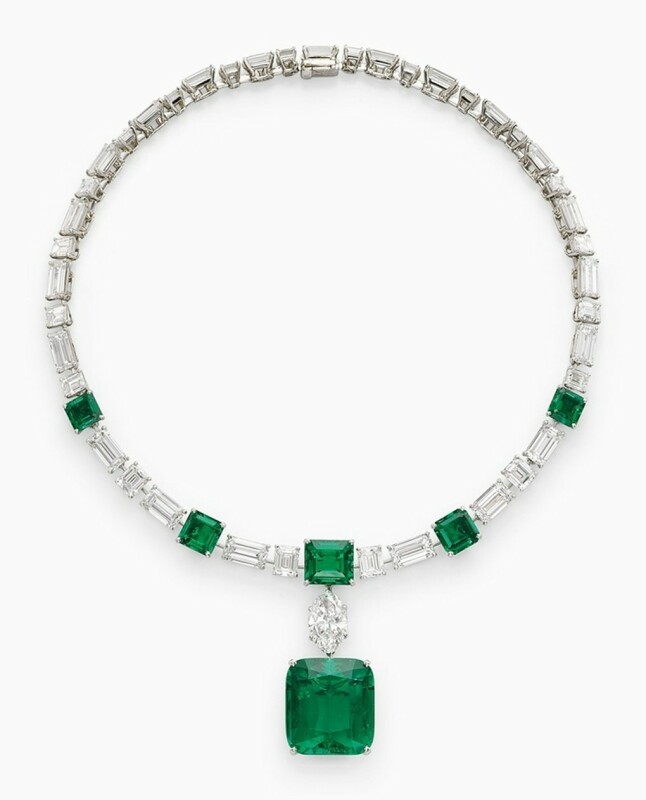 More jewels by Cartier include a sensational emerald and diamond necklace suspending a richly colored Colombian emerald of almost 40 carats ($2.5 to $3.5 million). Princess Gabriela was photographed on many occasions wearing the necklace and the matching earrings, one of them being at the official dinner preceding the wedding of Prince Felipe of Spain and Letizia Ortiz in Madrid, in 2004. Another magnificent necklace, also by Cartier, is set with rare Burmese sapphires. The V-shaped necklace suspends a 55 carat cushion-shaped sapphire ($2 to $ million) and is complemented by a pair of ear pendants, with diamond-set star tops and pear-shaped sapphire pendants, each weighing approximately 25 carats ($600 to $800k). 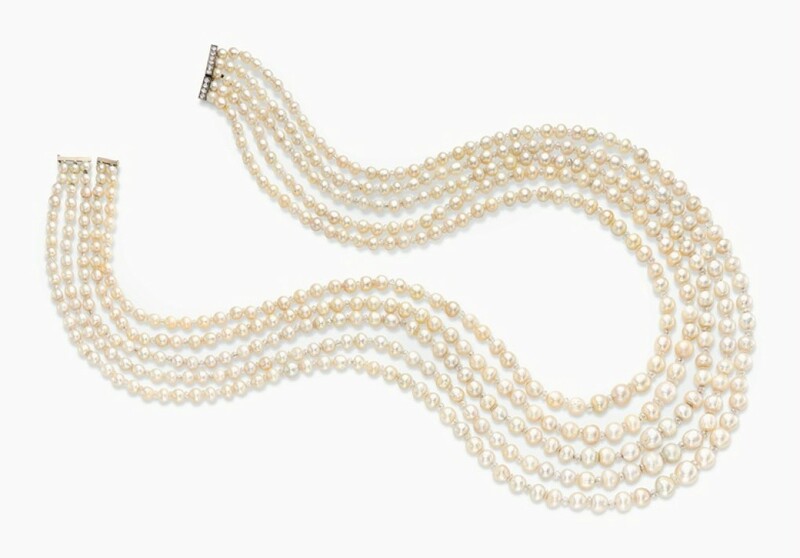 This very elegant cultured pearl and diamond fringe necklace, belonged to H.H. Begum Om Habibeh Aga Khan (1906-2000), the wife of H.H. Sultan Mohammed Shah, Aga Khan III. When it entered the collection of Princess Gabriela, a matching pair of ear pendants and a bangle were commissioned to Van Cleef & Arpels in order to wear them as a complete parure ($200 to $300k). 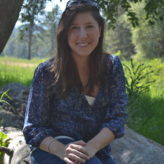 Born to an entrepreneurial and philanthropic German family, Princess Gabriela, a trained lawyer, has been involved in educational, health and cultural development programs throughout her life. In 2004, the Princess founded the Princess Inaara Foundation. This aid organization is committed to supporting projects in both Germany and in developing countries, striving to protect and ameliorate the rights of women and children in need, often through microcredit projects. She campaigns for greater understanding and tolerance across diverse cultures, whilst also being committed to fighting the HIV/AIDS epidemic, and continues to serve as a member of the Board of Trustees for the German AIDS Foundation.